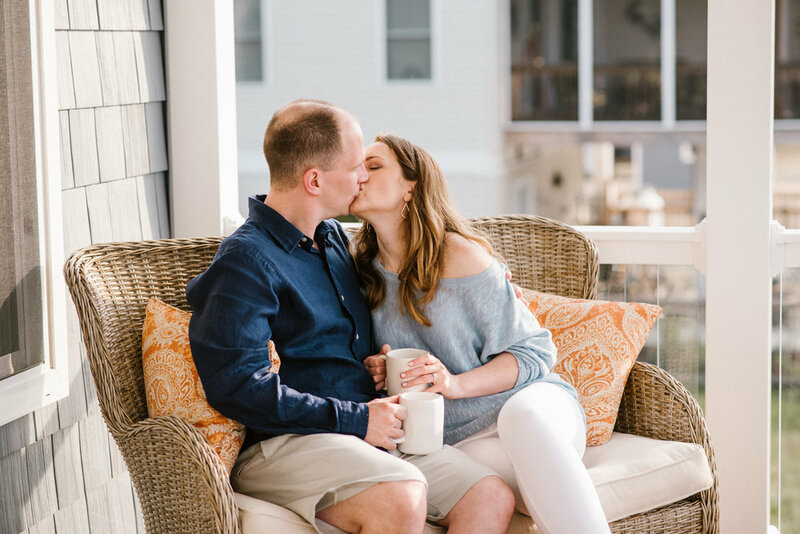 Kate and Adam invited me to their family beach house in Chincoteague Island, Virginia for their engagement session! It was special for a lot of reasons, but the biggest reason was that this is where they got engaged last December! It's so cool to me to get to spend an extended amount of time with my couples in a place personal to them getting to know them! It makes the photo shoots more fun too! 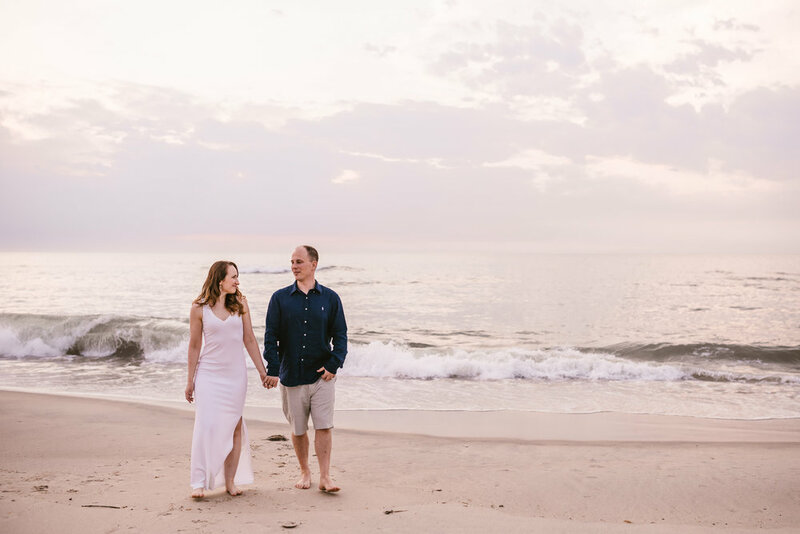 They gave me wine and ice cream, and a sunrise engagement session on the beach...sounds like a good weekend of work to me! 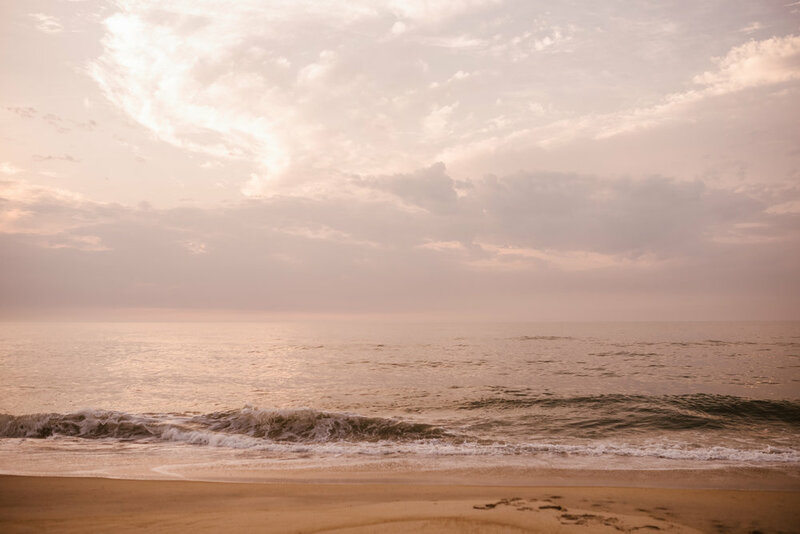 If you've ever been to Chincoteague Island, you know how gorgeous it is! And if you haven't, well, you're missing out! 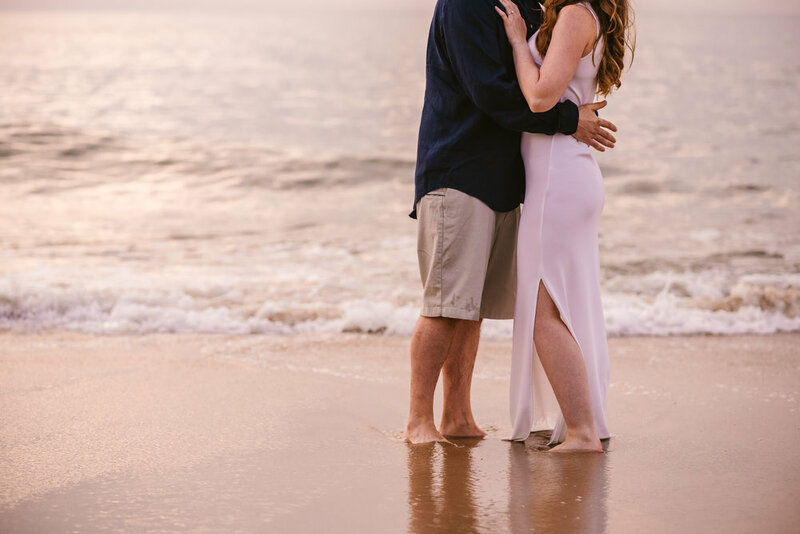 When Kate asked me if we could do their engagement photos at Sunrise on Chincoteague Island I just about died. 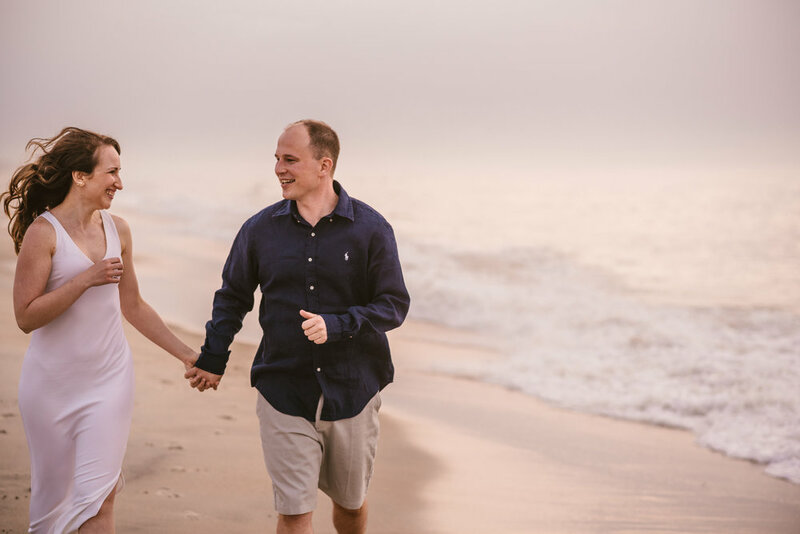 I'm not sure if Adam was too happy with me when I asked them to stand in the water (I'll admit, it was cold), but I think you'll agree the results were worth it. You can see his reaction when the waves got a little too friendly below!